Besides its precise measurement capability the X911 meter’s most outstanding feature is its easy handling. 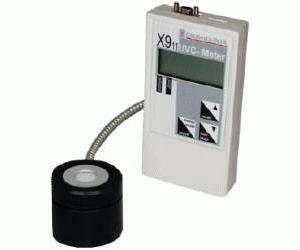 To measure, the user simply connects the detector head and switches on the meter. The LCD characters are 9 mm high for easy viewing. The X911 is a compact handheld battery operated instrument. AC option is available.